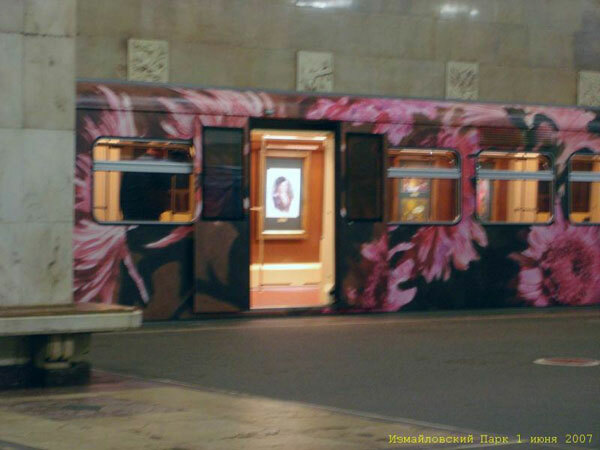 This is train we had a few days ago, which is painted from outside with some flowers. 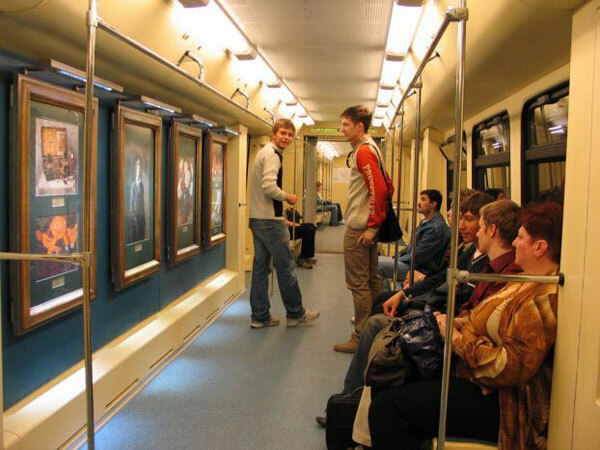 It seems that there is another interesting fact about it – they have picture gallery so the passengers could get a feeling of a museum visit during their ride from home to office. That’s pretty cool! 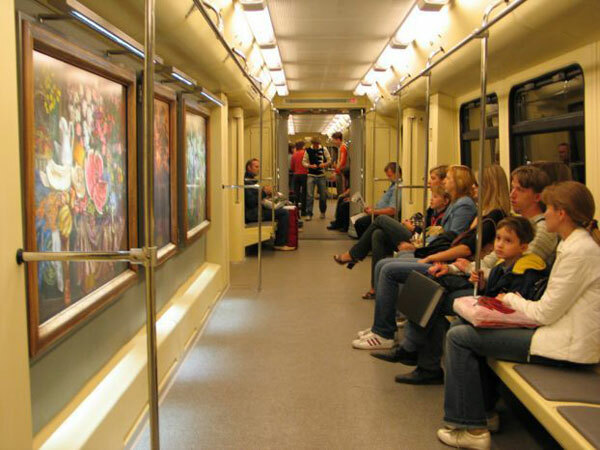 That doesn’t look like the Moscow Metro though. Which city is it? My guess is Nizhny Novgorod. 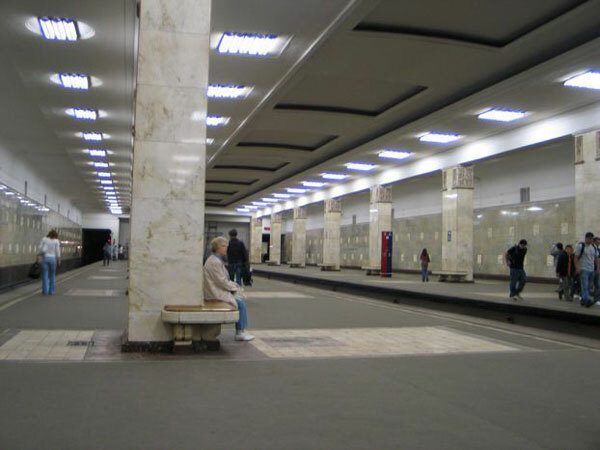 It does look like the Moscow Metro. 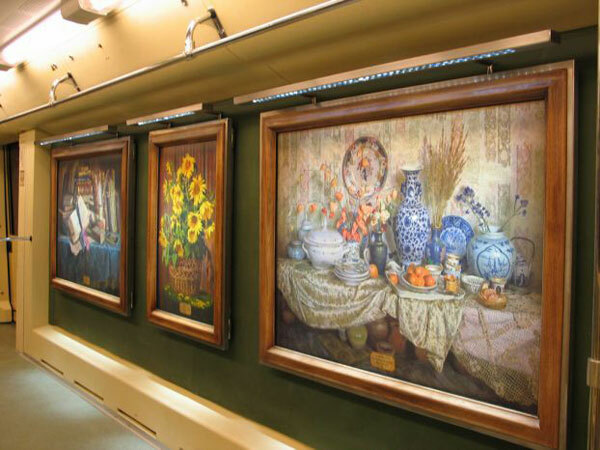 One of the photos says “Kurskaya station” – that pretty much nails it down. Latest numbers from official site. Total area of cladding 754.3 thousand sq. m.
— with marble tiles 340.1 thousand sq. m.
— with granite tiles 68.6 thousand sq. m.
— with different tiles 210.7 thousand sq. m.
— Other cladding materials 134.9 thousand sq. m.
Overall, slightly better dressed and groomed passengers than what I have seen in my part of the world. Wonderful! 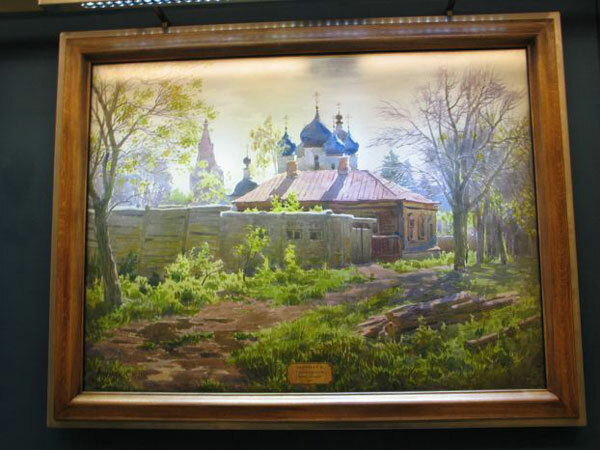 This says a lot about Russian values and culture. The one who came up with this idea is brilliant. 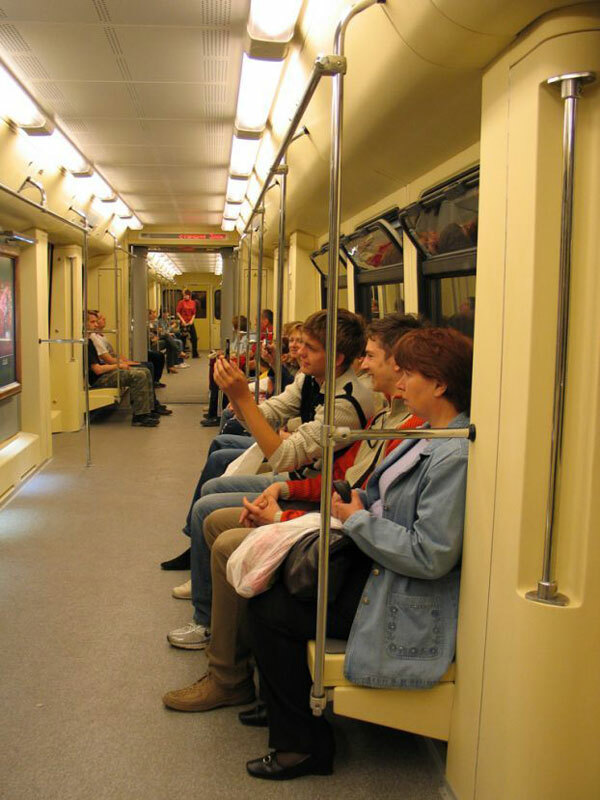 How does it cope with the rush hour? Or is there none at all? although your name tells you might be russian,but I really doubt it! 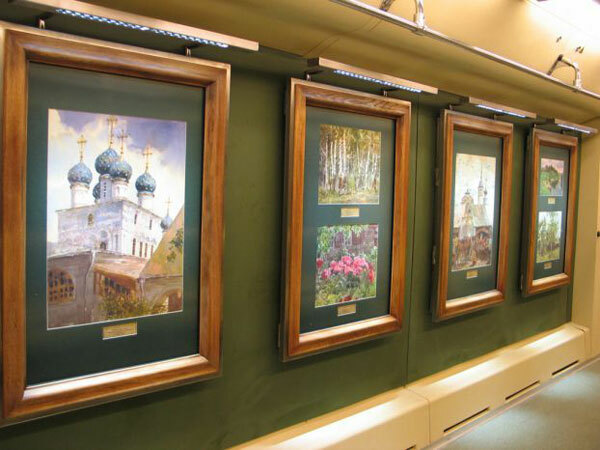 in russia no one would do something like vandalizm to such a beautiful public property! This train runs on my subway line, I get it every week. It was painted in honor of Child Protection Day last year.